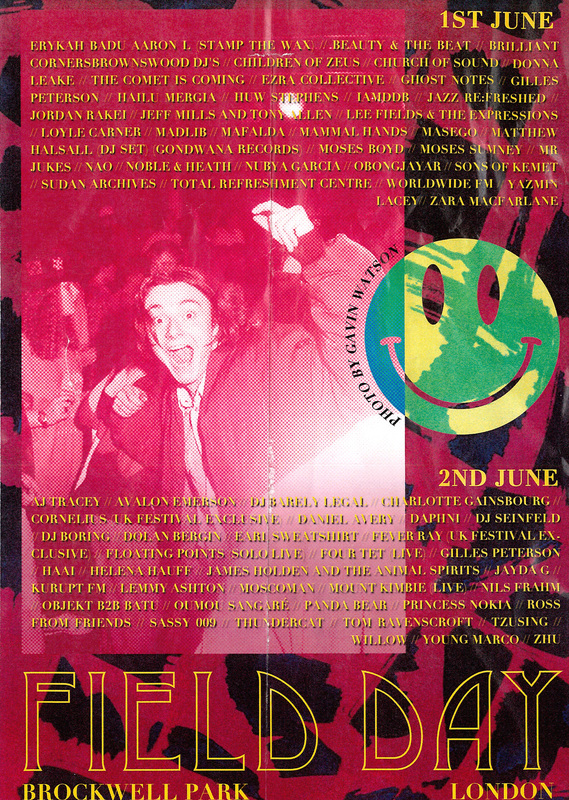 The rave flyer: an integral invitation in acid house's heyday and a gateway to the magical parties in fields and warehouses across the UK. The intimate distribution of the artwork heralded an undeniable life-affirming physicality to graphic design that pre-existed domesticated graphics software. It meant designers had little choice but to meticulously scrawl the lines and patterns that documented and glorified the societal shifts during the Summer Of Love, aka one of the most important eras in dance music. 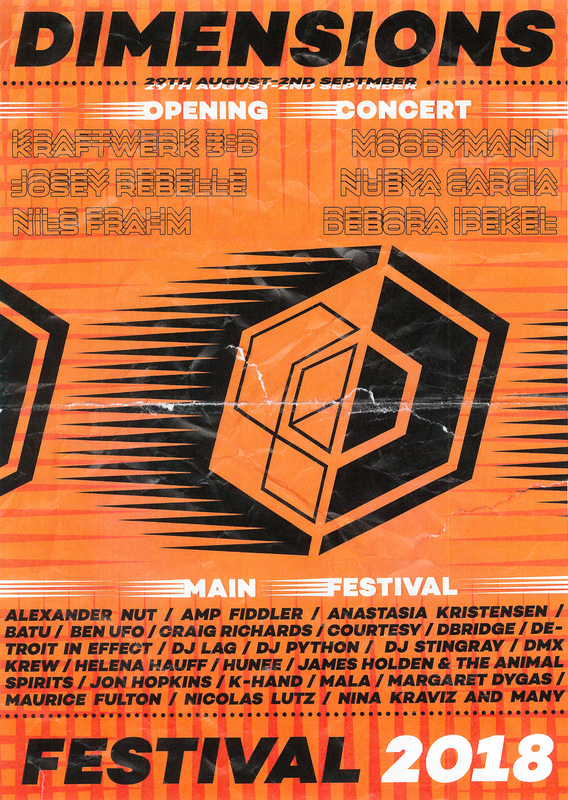 However, with technological means of distribution and reproduction for the contemporary flyer being the standard, the 2018 rave flyer is, arguably, a digression from the handcrafted rave culture commentary when having to accommodate for hundreds of acts in a single artwork. 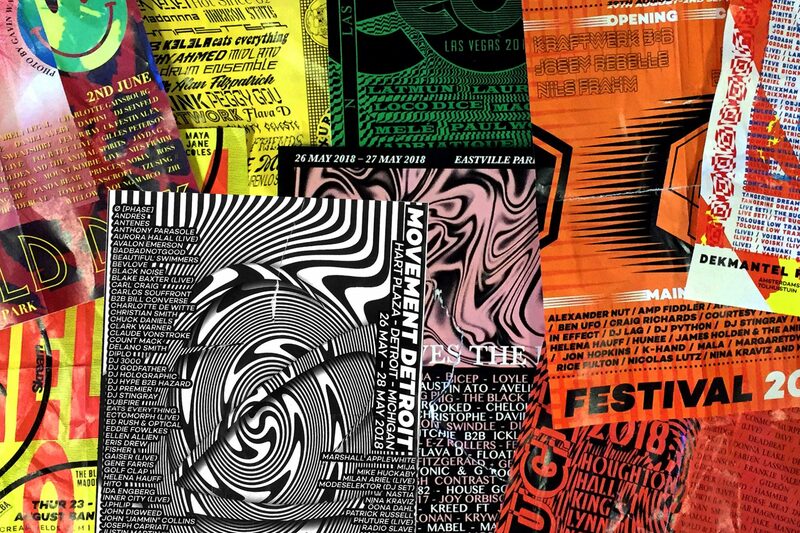 With that being said, we took it back 30 years and redesigned the posters for some of this year's dance music festivals, including Dekmantel, Creamfields and Movement, as the the lo-fi visual artefacts that were once so intrinsically linked to the UK club scene. Check the flyers and read the inspiration behind them from the illustrator. This one is very much a hyper-excessive and reminiscent throwback to the humble information superhighway that was analogue teletext. 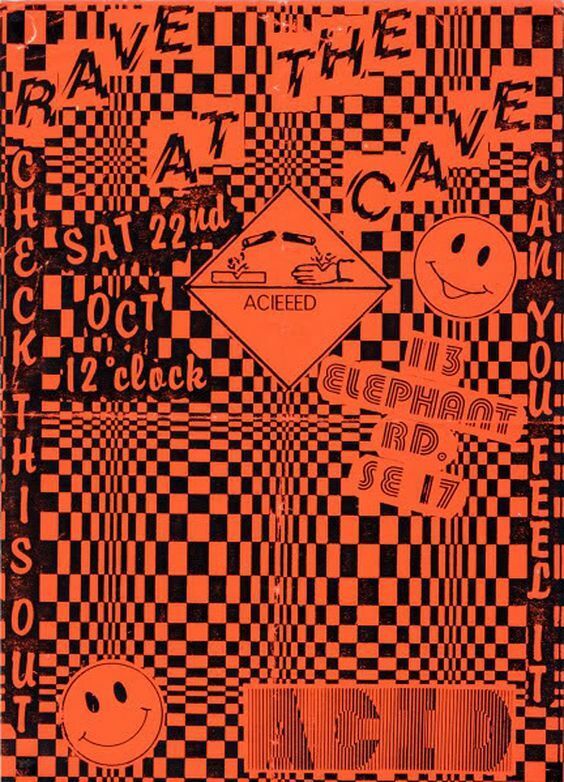 The designers of the original acid house flyers translated sound from the audible to something tangible through pattern. The vortex-esque swirl, drawing in the viewer is independent to the almost unseeable Movement logo. 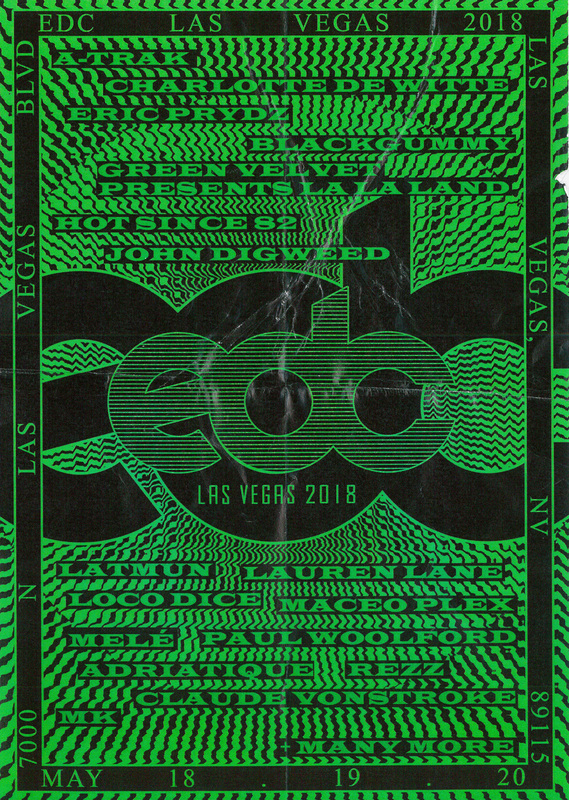 With the flyers of the era, it wasn’t necessarily about communicating an extensive line-up, but giving an indication of what could be expected. The smiley has had a few face lifts over the years. From Forrest Gump and Fabric to emoticon and emoji, it’s stood the test of time. 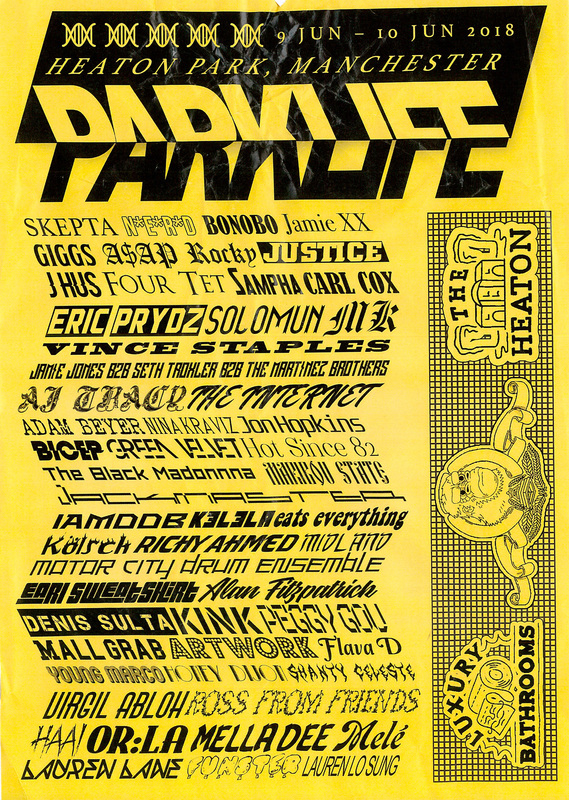 As has the renowned UK festival that celebrates its 21st birthday this year. On this, the kaleidoscopic composition of the duplicated smiley means never seeing the face in its entirety, yet the familiarity of the Creamfields motif merged with elements of a familiar face is a nod to the Creamfields experience. 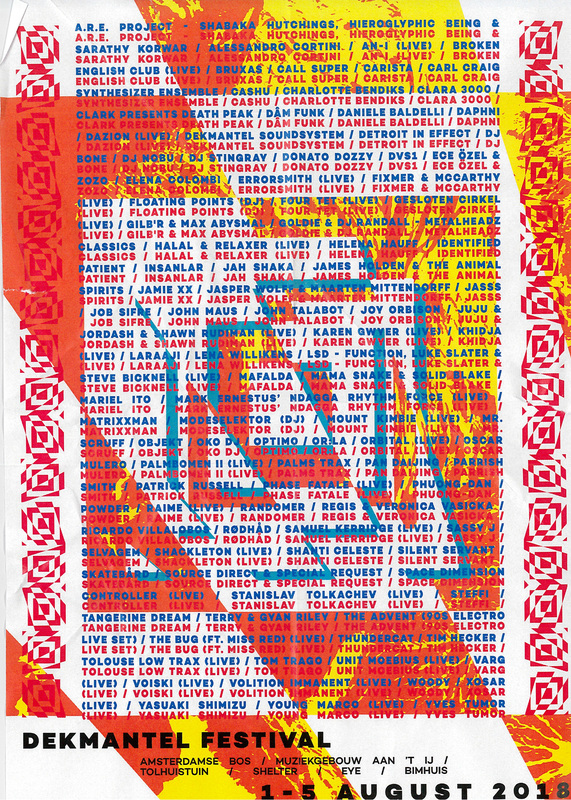 Distorted typefaces beyond the point of recognition may be in trend in 2018, but those promoting their own parties in their own homes in the late '80s were true pioneers of their craft. They weren’t afraid to use a different typeface for each and every letter and use graphics that very much depicted things to come. That's how I ended up with this flyer. Dimensions Festival has seen some incredible talent re-work its visual identities over the years. 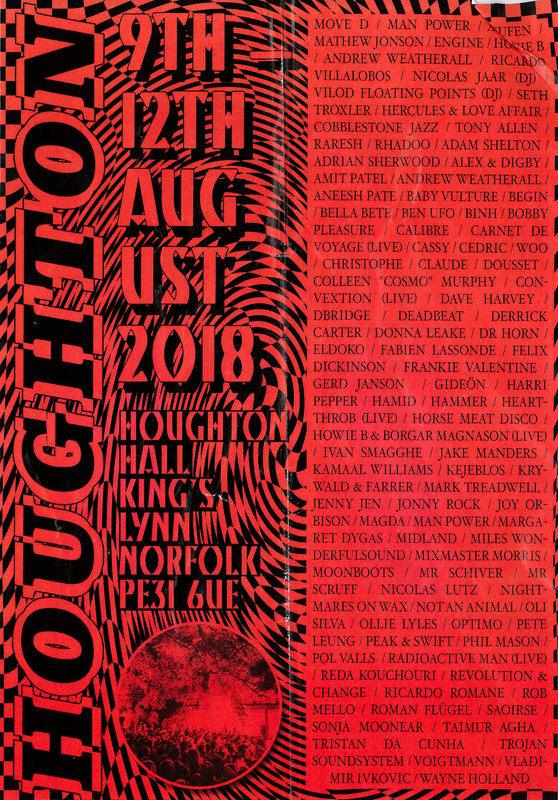 This reimagining attempts to capture the pace and trajectory of music on offer across the festival while utilising the prominent logo as a vessel of visual captivation. It wasn’t all yellow and black and the information wasn’t always tangible. 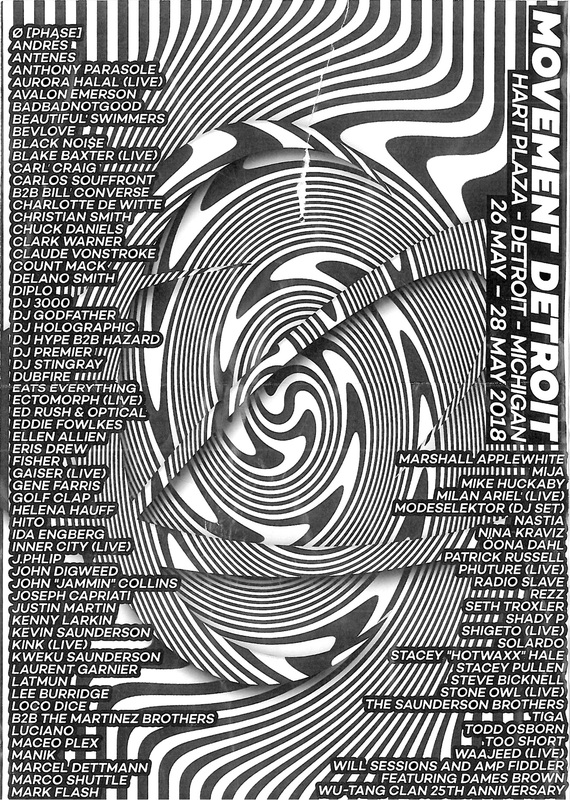 This poster draws influence directly from this pre-existing flyer. 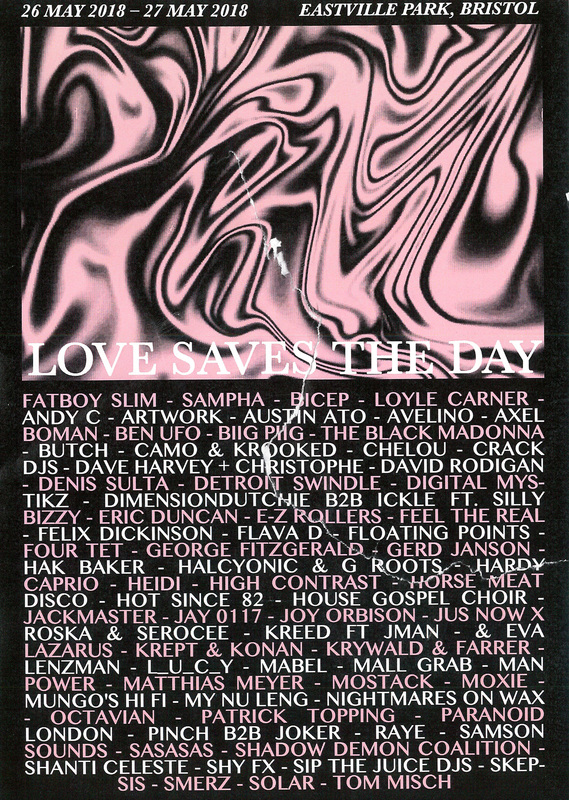 Vectorised wavy lines were a typical psychedelic feature of acid house flyers from the Summer Of Love era. Designers often used a minimal, cost-effective palette. Though with such hallucination-inducing patterns, comes the quintessential practice of underlying text with colourless blocks. That's what inspired this one. This one's a more theatrical, reserved and elegant execution of late '80s graphics that champions the line-up rather than immersing the viewer solely in the intensity of acid-inspired visuals.